Forget about a date night. 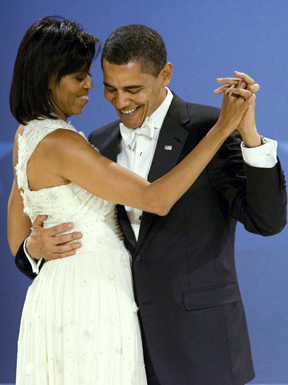 President Barack Obama and wife Michelle marked their wedding anniversary with a debate night. The couple's 20th anniversary was October 3, the same day the president held his first debate with Republican rival Mitt Romney. "Go figure," the first lady said in a recent television interview. The president said he and his wife planned a belated anniversary celebration for Saturday. His campaign is also asking supporters to sign an electronic anniversary card for the first couple. The Obamas at least spent their anniversary in the same city, a rarity given that both are frequently in battleground states in the campaign's final weeks. Mrs. Obama was in the audience in Denver when her husband took the debate stage.